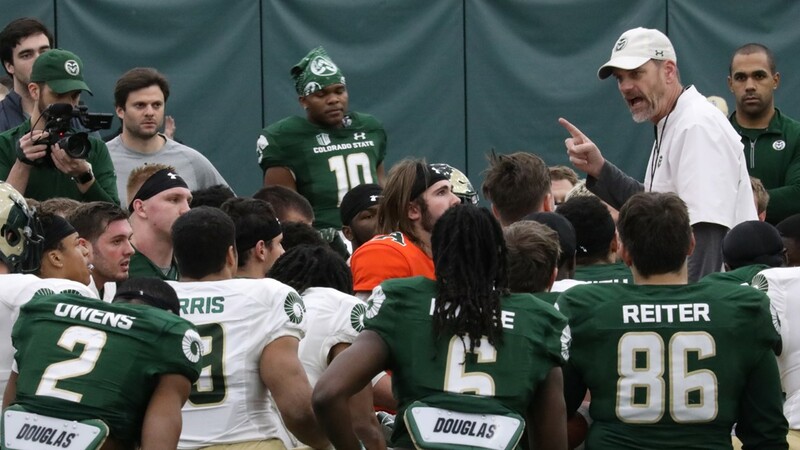 Colorado State head coach Mike Bobo talks with his team ahead of CSU's final spring scrimmage on Thursday. 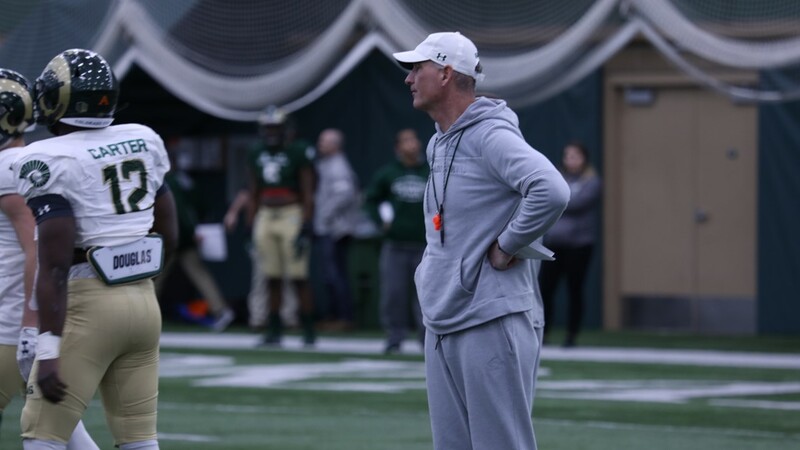 Colorado State defensive coordinator John Jancek watches a drill in CSU's final spring scrimmage on Thursday night. 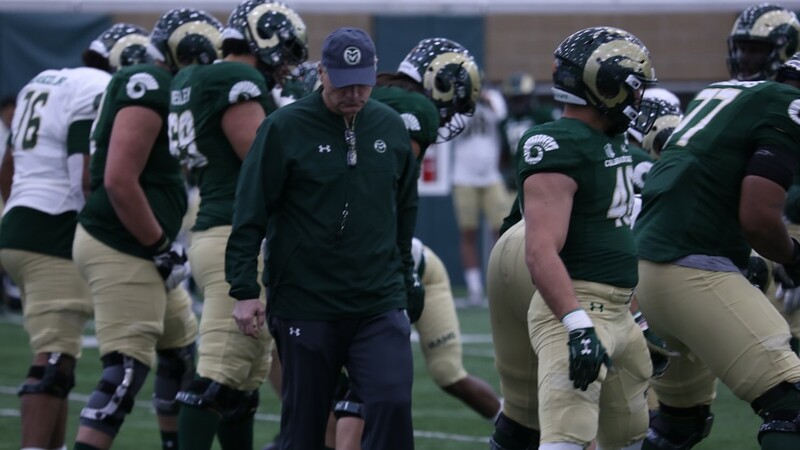 Colorado State offensive coordinator/offensive line coach Dave Johnson directs a drill during CSU's final spring scrimmage on Thursday. 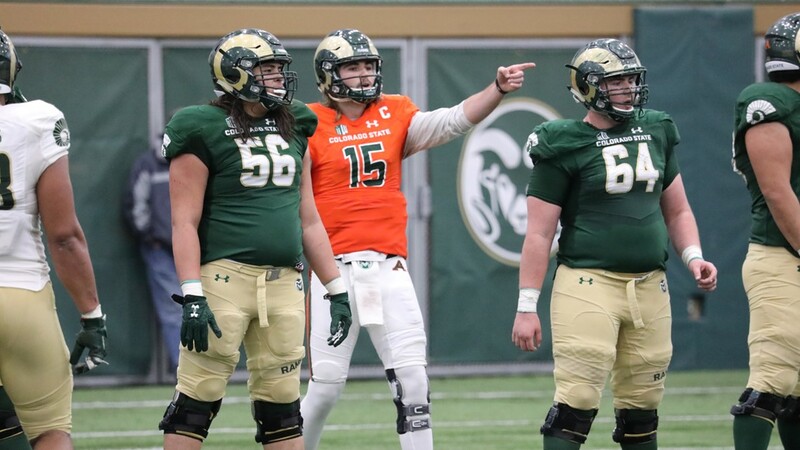 Colorado State redshirt junior quarterback Collin Hill gives out directions to his offensive line during CSU's final spring scrimmage. 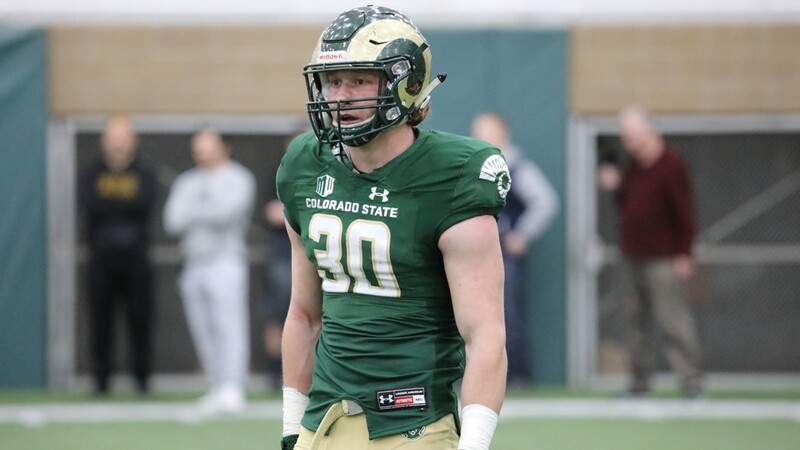 Colorado State redshirt junior wide receiver Ryan Sayre (No. 87) lines up for a play against sophomore cornerback Rashad Ajayi (No. 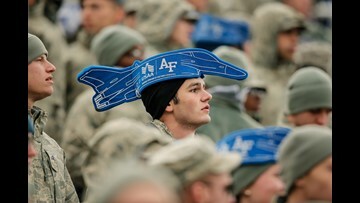 4) during CSU's final spring scrimmage on Thursday. 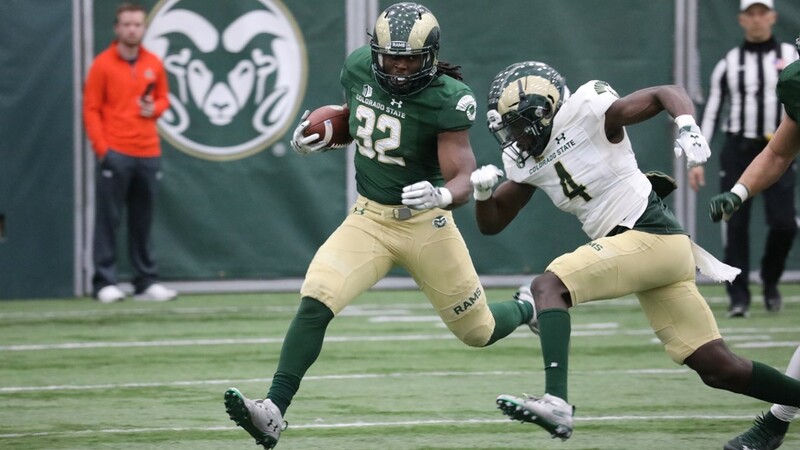 Colorado State freshman running back Jaylen Thomas (No. 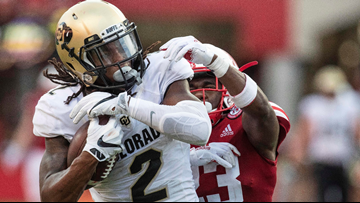 27) escapes to the edge during a play in CSU's final spring scrimmage on Thursday. 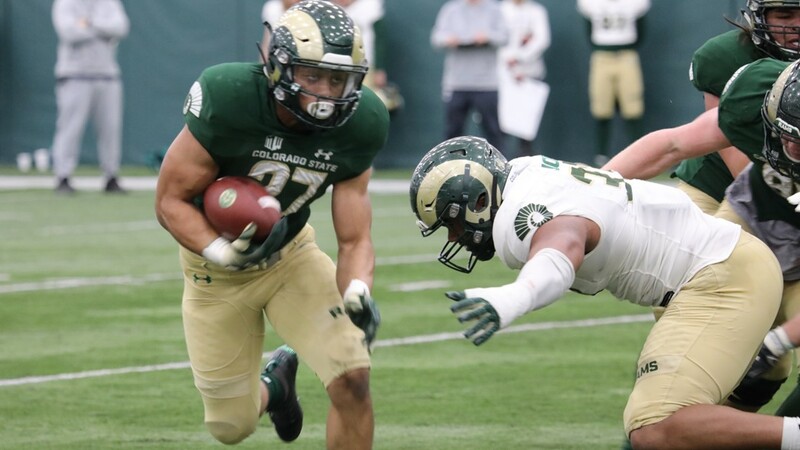 Colorado State freshman running back Jaylen Thomas (No. 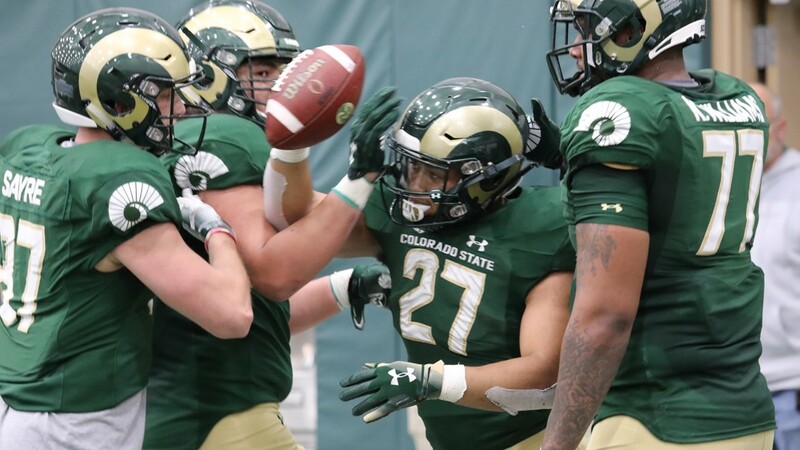 27) celebrates with teammates following a touchdown in CSU's final spring scrimmage on Thursday. Colorado State junior wide receiver Warren Jackson takes a break on the sidelines during CSU's final spring scrimmage on Thursday. 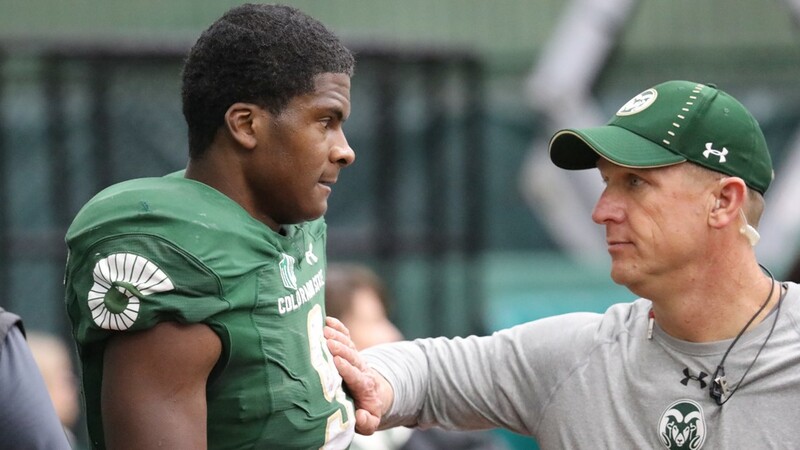 Colorado State junior wide receiver Warren Jackson (left) is checked out by a staff member on CSU's football team on the sidelines during the Rams final spring scrimmage on Thursday. 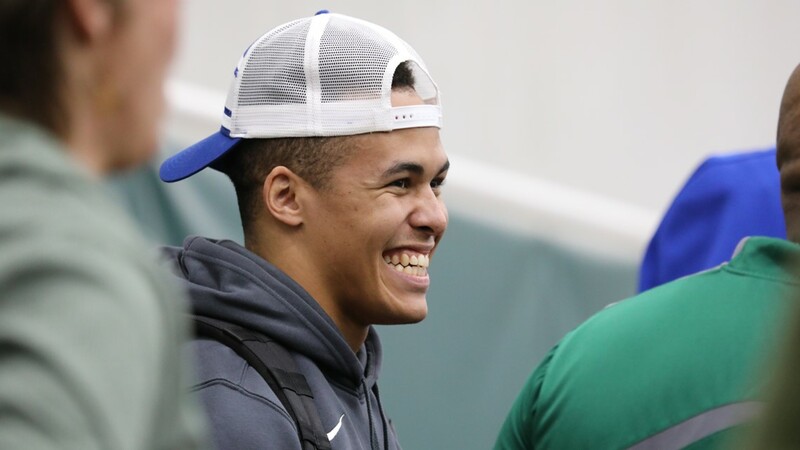 Former Colorado State wide receiver and NFL-hopeful Olabisi Johnson watches CSU's final spring scrimmage from the sidelines on Thursday. 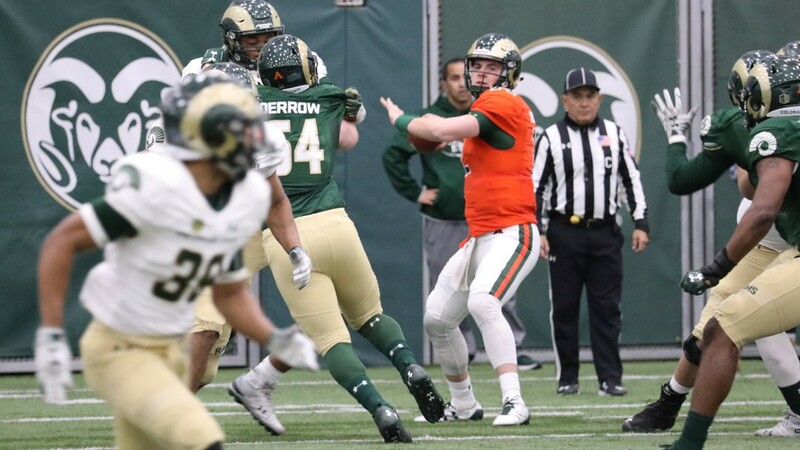 Colorado State redshirt junior quarterback Patrick O'Brien looks downfield for an open receiver in CSU's final spring scrimmage on Thursday. Colorado State redshirt junior wide receiver Griffin Hammer celebrates with teammate Thomas Pannunzio (left) following his touchdown in CSU's final spring scrimmage on Thursday. Colorado State junior cornerback Eman NcNeal listens to a play call from the sideline during CSU's final spring scrimmage on Thursday. 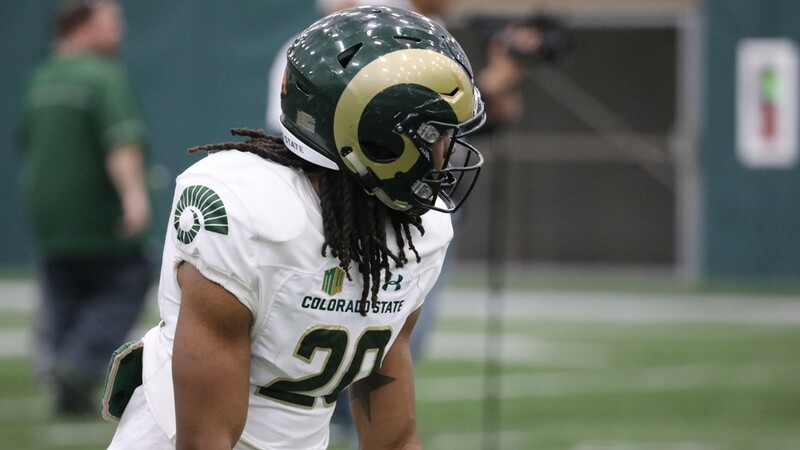 Colorado State redshirt senior safety Braylin Scott listens to a play call from the sidelines during CSU's final spring scrimmage on Thursday. Colorado State junior running back Marcus McElroy (No. 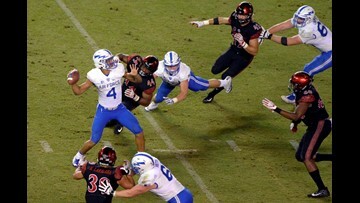 32) takes on Rashad Ajayi (No. 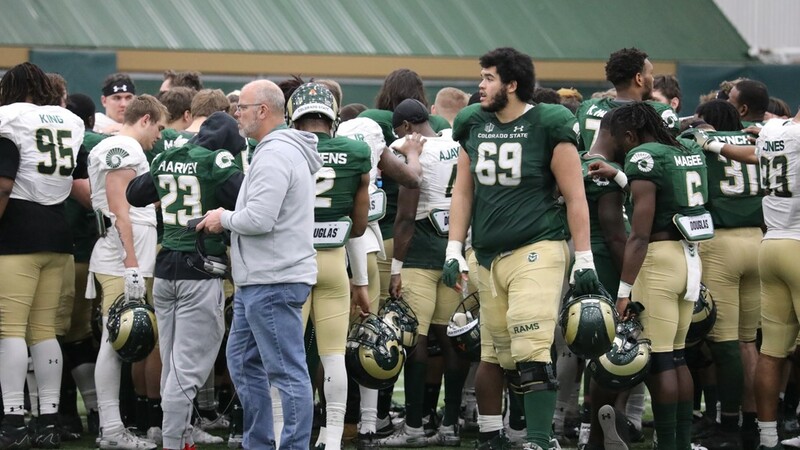 4) during CSU's final spring scrimmage on Thursday. 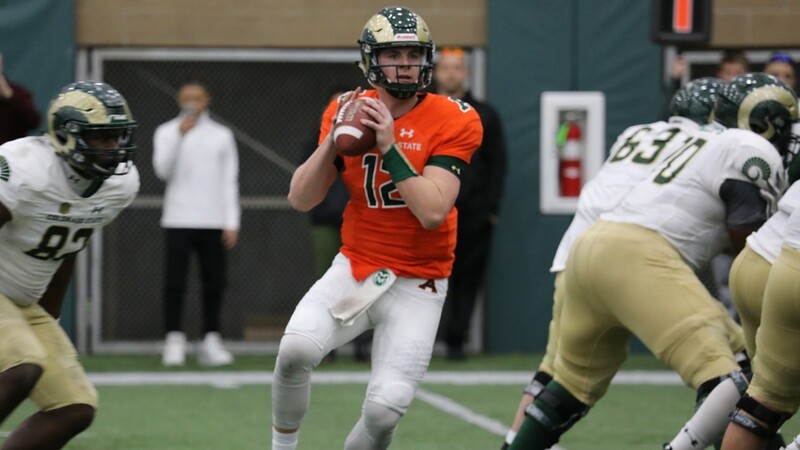 Colorado State redshirt junior quarterback Patrick O'Brian (No. 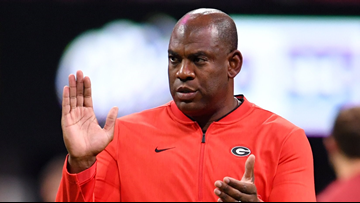 12) looks for an open target on 1st and 3 during CSU's final spring scrimmage on Thursday. 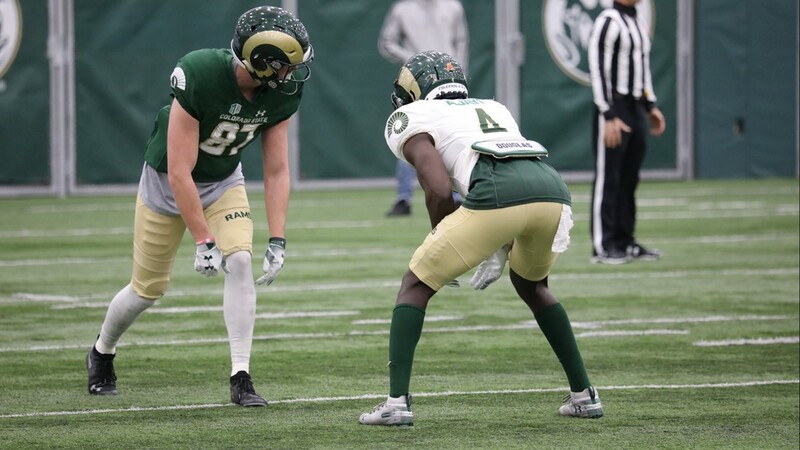 Colorado State sophomore wide receiver A'Jon Vivens lines up for a play during CSU's final spring scrimmage on Thursday. 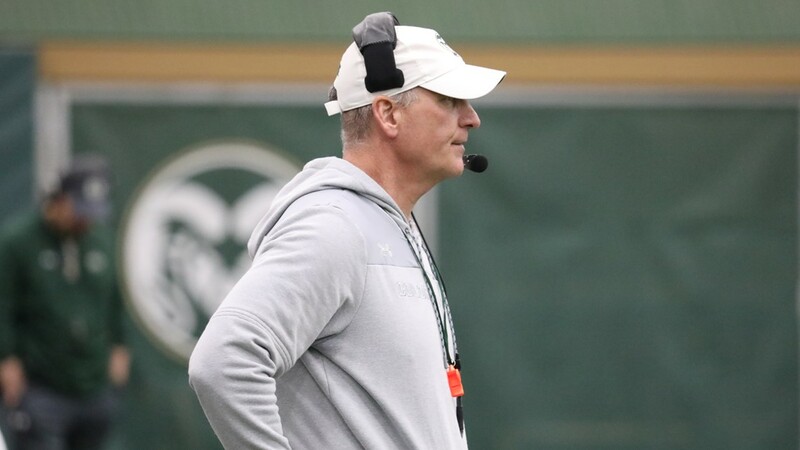 Colorado State defensive coordinator John Jancek coaching CSU's final spring scrimmage from the sidelines on Thursday. 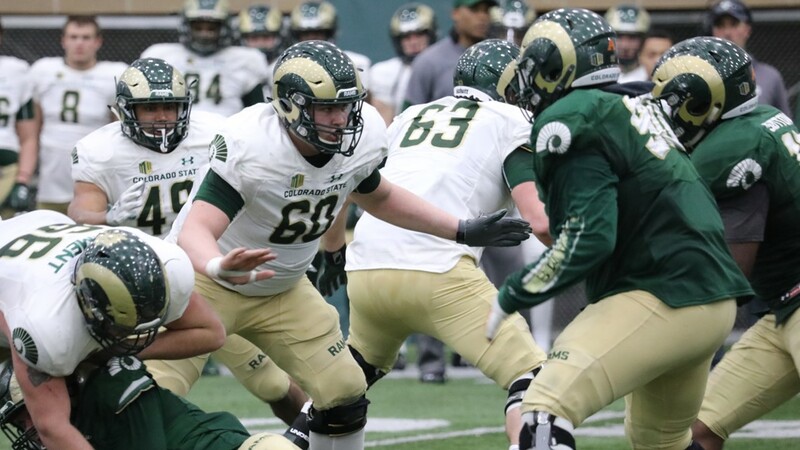 Colorado State redshirt freshman offensive lineman Florian McCann (No. 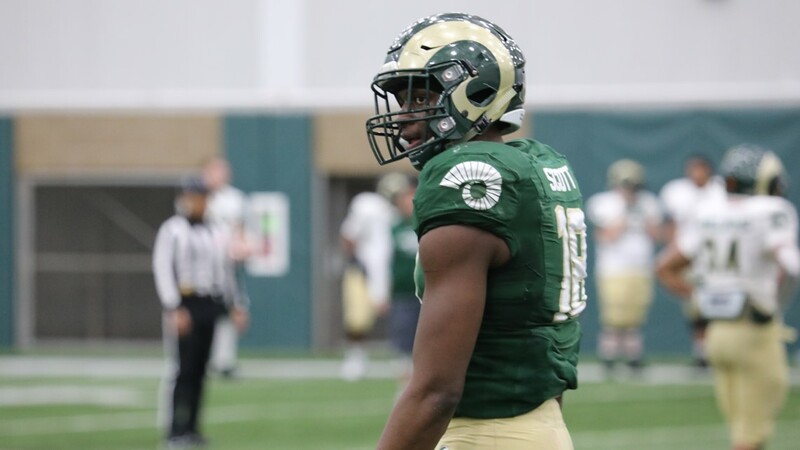 60) sets up a block during CSU's final spring scrimmage on Thursday. 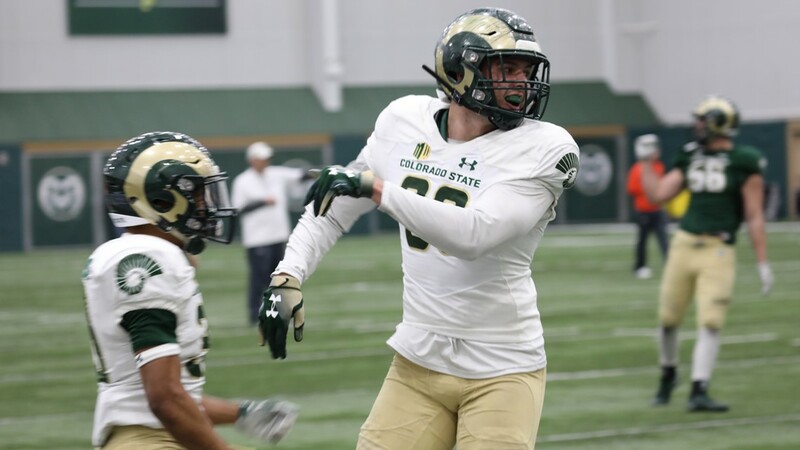 Colorado State redshirt junior Collin Hill looks for an open receiver in CSU's final spring scrimmage on Thursday. 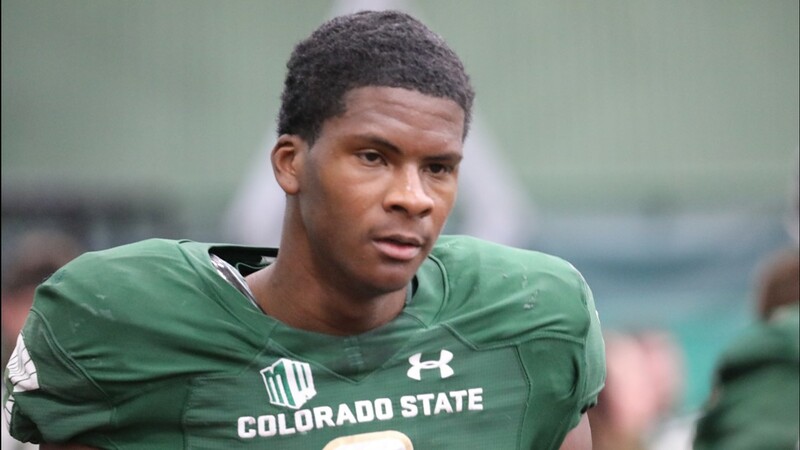 Colorado State sophomore wide receiver Trey McBride (No. 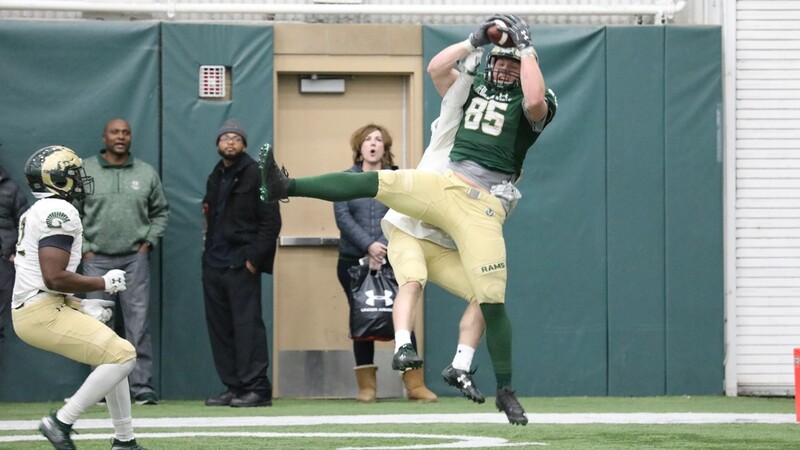 85) catches a touchdown pass from Collin Hill during CSU's final spring scrimmage on Thursday. 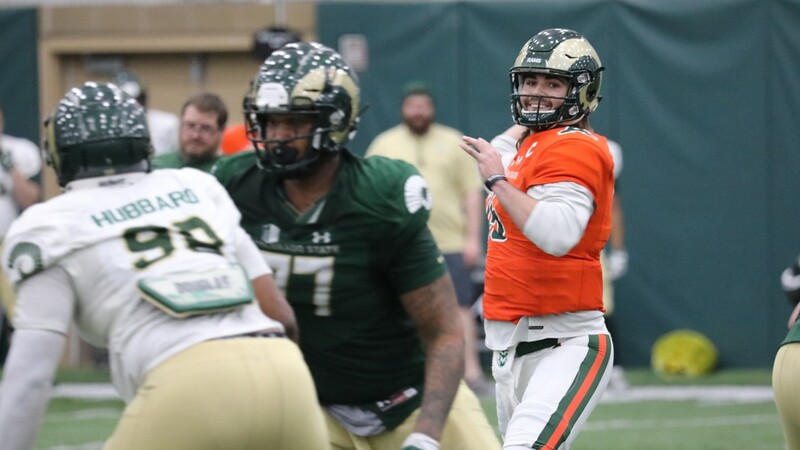 Colorado State football wraps up the 2019 spring season with a team breakdown.